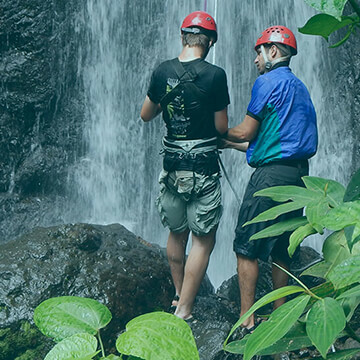 Relying on decades of experience in the Costa Rican outdoor industry, our bicultural team provides a therapeutically sophisticated and holistic approach to helping young adults with depression, anxiety, low self-esteem, lack of motivation, executive function deficits, trauma, and substance abuse. Our students are individuals with very real challenges looking for lasting change. Pure Life provides intermediate level treatment, utilizing traditional individual and group therapy in combination with outdoor experiential learning and adventure. Our integrated and dynamic approach includes an emphasis on fitness, mindfulness, life skills, and cultural immersion. What does surfing have to do with depression? How does rafting help treat anxiety? Activities like these help students develop self- efficacy and grit. Self-efficacy, our belief in our own ability to persevere and succeed, translates to a happier and healthier life. 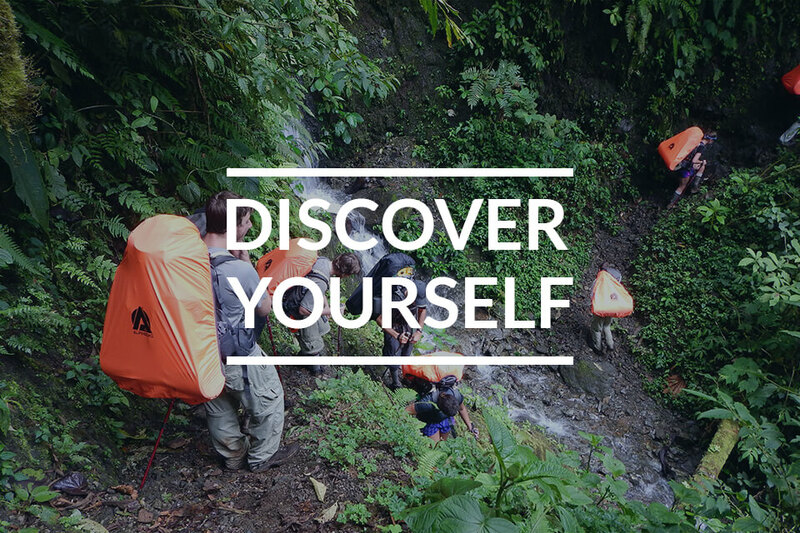 Adventures challenge students to overcome perceived limitations, ultimately building their self-confidence. Our mission is to facilitate meaningful therapeutic experiences that provide students with the tools to thrive and flourish. Research shows that skills and coping methods learned through adventure therapy transfer to post program success. Each novel experience has the potential to become a profound, therapeutic moment promoting lasting change. The transition into young adulthood is an exciting time of life but can also present many unique challenges, especially for young people dealing with depression and anxiety. These challenges are very real and can be debilitating. It is not uncommon for even the brightest young people to feel “stuck” or “paralyzed” in the transition. Some struggling young adults self-medicate with substances, overeating, undereating, or by avoiding, isolating, giving up easily on everything, or just simply sitting in their parent’s basement and shutting down. Whatever your challenge may be, there is hope and help available. THE DIARY OF AN ADVENTURER. "A better future begins with a choice to change." Any questions? Give us a call. We are here to help. or visit our CONTACT page and fill in the provided form. "When I arrived at Pure Life in April of 2014, I was a washed up junkie with low self esteem and no confidence. I’m glad I came because now I have a whole new life. I’m happy, I’m healthy and I’m being a productive member of society. The time I spent in Costa Rica at Pure Life has been the most impactful, life changing experience of my life. I don’t know where I would be today if I had not made the decision to go Pure Life but I know it would not have been pretty. Best decision I ever made." 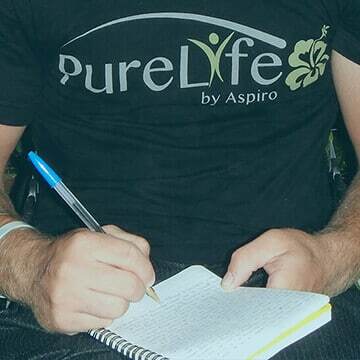 "I came across Pure Life by Aspiro during a very dark period in my life. I was severely depressed and looking for a holistic alternative to modern society's quagmire of drugs & clinical therapy programs. I had allowed prolonged stress, relationship issues, an overly busy schedule, and the winter blues of Minnesota to take control of me. Pure Life seemed a viable option with its unique combination of individual & group therapy, a life success curriculum to develop yourself both personally & professionally, fused with a wide variety of outdoor adventures in one of the most beautiful & happy places on earth - Costa Rica! I wasn't sure exactly what to expect from an "adventure therapy" program and I was hesitant to invest so much time away from my small business (a private violin & viola studio of which I am the sole proprietor) and highly aware of the huge financial burden my parents were undertaking to send me to the Pure Life program. 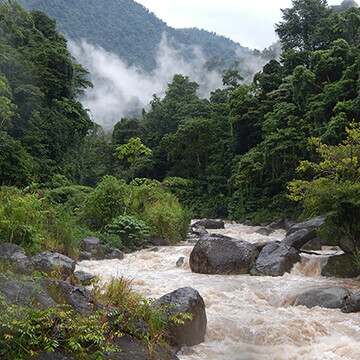 Desperate to dig myself out of the dark hole I was in or to simply cease existing because of the deep pain I was experiencing, I took the plunge and flew to Costa Rica. My journey out of depression was truly transformational. I came to Pure Life as a broken, lost spirit who had ceased to value my own life and left Costa Rica 8 weeks later feeling a sense of rebirth physically, mentally, emotionally, & spiritually. Thank you to the entire Pure Life team and especially my therapist Helen - I couldn't have come this far without your support & guidance. !Pura Vida!" "When I came to Pure Life I had little confidence or optimism for a successful future, but you all helped me through a self-discovery process that empowered me to pursue a fulfilling life path." "I have learned that happiness takes hard work. I know that and I have found a reason to work for it. Pure Life literally saved my life! I came into this program depressed... I had lost my love for life, my family/friends, and my motivation to move on. I learned with the help of my therapist and group that I can't stuff my feelings and that emotions aren't logical we just have to accept them sometimes. The group and staff pushed me hard. My comfort zone was pushed, I was physically uncomfortable and mentally challenged. I have learned how to push through being physically uncomfortable and not have it affect my mental attitude. I have a new "peace of mind" attitude that will take me far." "I came to Pure Life an empty shell of the person that I used to be. My first week here I went hiking, and after 2 miles of a steep, mainly rocky incline we reached the peak of the mountain. It was there that I found myself feeling higher than I ever had before. I have finally found myself again. I have a deep and eternal gratitude for Pure Life for helping me grow into myself, and allowing me to feel so free." "Most of my stumbles have been self-inflicted. But, for all my stumbles, there's something new: I can recover. I'm catching myself. And I have touchstones to hold onto, and memories of things that work. All of that comes from Costa Rica." "My experience at Pure Life was more than I could have hoped for. 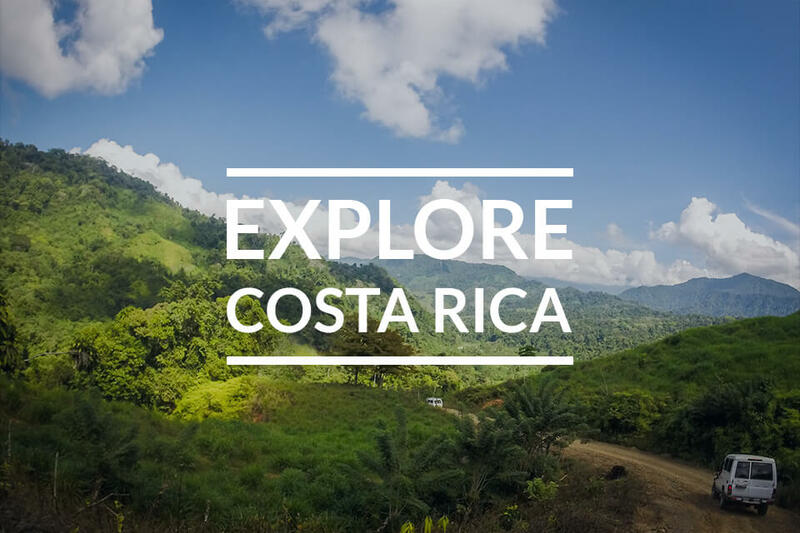 The supportive atmosphere and structure of the program combined with the culture and lifestyle of Costa Rica had such a profoundly positive effect on me. After my time there, I felt more comfortable being myself, a much stronger leader and a more emotionally healthy person." "When I graduated my, what seemed to be a never ending, senior year of high school, I was done mentally. Depression took control and thankfully Pure Life came into view. Being uncomfortable was beyond normal for me, but Pure Life showed me how I have a choice to let being uncomfortable ruin me or push me forward. By learning to accept the physical discomfort of being in the wilderness, I learned how to cope with my emotional discomfort so it would no longer hinder me from living." "Surfing is like life. Sometimes in surfing you can start off strong and stand up on your first wave. Sometimes that’s skill. Other times it’s luck. But after that it’s not always smooth. You’ll fall down. But even when we crash into our wave in life (Which could be a fight with a friend or a breakup) we still have to make the best possible decision to get up, swim out, and catch another wave. Fighting is very important so remember to catch any wave you want. Don’t limit yourself. Do what you desire. Getting up from falling down makes you stronger. Failing is always an option. So you must fail to succeed. 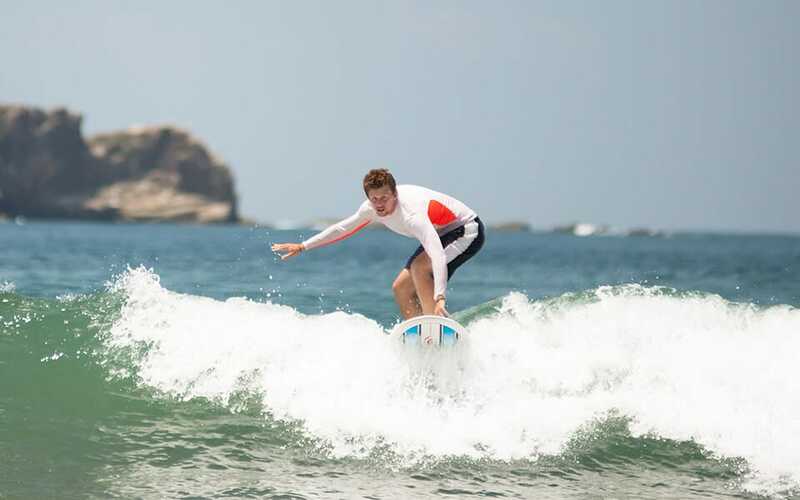 Never compare your surfing skills to others. Yours may be more radical, more awesome, more gnarly. But build your confidence off of yourself. You are the key to making this wave the start of your life. So go surf. It’ll be crazy what you can accomplish if you just set your mind to it." "Before Pure Life, I was a young adult with no voice, no direction, and no passion. While at Pure Life, through one on one therapy, group therapy, and difficult, yet rewarding, physical challenges, I found the motivation to be the self I never thought I could be. Because of Pure Life I am now confident, happy, and passionate about my life and what the future holds in store for me. I could not thank the Pure Life team enough for everything they have done for me." "Pure Life literally saved my life! I came into this program depressed and suicidal. I had lost my love for life, my family and friends, and my motivation to move on. I learned, with the help of my therapist and group, that I can’t stuff my feelings. I have learned how to push through being physically uncomfortable and not let it affect my attitude. I don’t know where I would be without coming to Pure Life! Happiness takes hard work… I know that, and have found a reason to work for it."